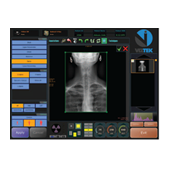 Viztek’s Opal-wRIS is a dynamic Web-based RIS software designed to streamline practice workflow while enhancing profitability. With a series of intuitive tools, Opal-wRIS easily delivers important patient, insurance, and facility information designed to create and maintain the most productive and efficient business. The scalable wRIS software is ideal for both single and multiple facility enterprises and allows for the practice to grow and develop with new facilities, modalities, and physicians. Opal-wRIS features full dictation and transcription module with automatic report distribution and seamlessly integrates with Viztek's Opal-RAD PACS. A complete women's health module is also included with a robust package of functionalities created to ensure practice compliance with the American College of Radiology (ACR) Bi-RAD standards. From the moment a patient checks in, the wRIS is able to increase the speed of the check in process with a multiple verification system that validates insurance information immediately and automatically. Opal-wRIS makes scheduling easy, input appointments by patient, calendar, or resource (modality, physician, procedure) and view first available time slot. • With Secure Scheduling the RIS software will not notify if a resource is double booked or not allow a patient to double book on multiple resources at the same time. Give referring physicians secure, remote, Web access to schedule patients at your facility. Avoid insurance denying a payment with Procedure-Diagnosis Validation. Opal-wRIS compares ICD 9 and CPT codes to ensure the exam generated is appropriate for the presented ailment to avoid insurance rejection. • Opal-WEB RIS is preloaded with CPT codes saving time coding and in turn results in improved efficiency. Opal-wRIS features a full-fledged women's health module for mammography imaging. The mammography component meets all MQSA standards put forth by the American College of Radiology (ACR). • Tracking Incompletes – Track incomplete patient information both in the mammography module and by patient. This allows the practice to have access to an open-items list where correspondence to patients is documented. Patients who do not have mammography exams completed or do not respond to communications will be on the incomplete list. • Radiologist access to images from prior exams, scanned documents, history, allergies, technologist notes, etc.